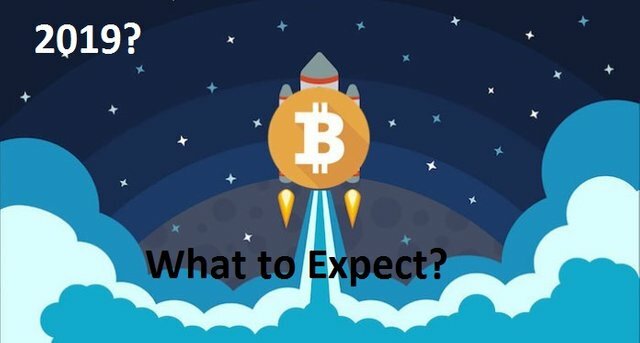 Home » Crypto » What Should be Expected from the Blockchain Technology in 2019? Though 2018 was a year when the prices of all cryptocurrency dipped, it could not be denied that the same year witnessed many new cryptocurrency innovations. Businesses both old and new adopted the technology. Through different blockchain consensus came new innovative ideas which are getting set for implementation. Last year recorded the peak of ICOs as funds raised reached a new all-time high. 2018 also taught a very worthy lesson to some startups- that Initial Coin Offering is losing its value gradually. This was the reason for the Vitalik’s Suggestion for Decentralized Autonomous Initial Coin Offering (DAICO) which many start-ups did not seem to value. DAICO is targeted at making investors actively part of the development process of a project. This is through the Tap policy, where Investors can determine the amount of funds that will be released to the project team per time. This is to keep them motivated and not run away with all the funds. Though with its own vulnerability like 51% attack, ICOVO revamped the idea adding some restrictions. This made it the first startup to implement Vitalik’s suggestion of DAICO. The question is: will it be successful? 2018 also revealed some other cool innovation like IOVO, which believe that human data is human value, and it should be protected. IOVO suggests that all human personal data should be stored on the blockchain and at the sole disposal of the owner. Companies should pay for this kind of data, instead of taking these data without the consent of the owners. Currency Of The Internet (COTI) was rated to have run one of the best ICO last year, investors are still waiting earnestly for its mainnet. COTI is creating its own blockchain for more efficient, fast, and secure remittance of funds. COTI wishes in its vision to be the actual currency of the internet. The list of cool innovations will never be completed unless PIGZBE is mentioned. Pigzbe wishes to help parents teach their children the most important lesson in life- Financial education. Through the Wollo wallet, parents can easily send payments to their children to incentivize them when they complete assignments in the house. Regular payments for savings and relative gifts through the supervision of the parents can be sent to the children. Pigzbe will be helping parents keep a close eye to how the children spends. The Currency Analytics is one of the success story of the blockchain technology. Though it conducted no ICO, it brought an innovation that is unprecedented to all. The Currency Analytics (TCA) views the essence of real news to the cryptocurrency ecosystem as important. TCA provides real cryptocurrency news to readers with zero tolerance for fake news. This will help them take wise decisions in their investments. It also helps them connect with their favorite projects, by allowing projects to publish their press release by paying TCAT. The record book for a list of blockchain innovations for 2019 remains almost blank for now. The world is waiting for blockchain based projects to create and execute their visions, learning from the past mistakes of the fallen. Investors and the whole cryptoverse is still waiting for the long awaited Ethereum’s Constantinople which has now been postponed to late February. 2019, What is it going to be for blockchain Technology and Cryptocurrency? Head or Tail or Both. Don’t ever forget to visit https://financialreport24.com for more news and articles about cryptocurrency.